Robert Atkinson studied in London and Antwerp before moving to New Zealand, then in 1885 to Australia. Like many other artists, he worked as an illustrator on various publications, including 'The Bulletin'. 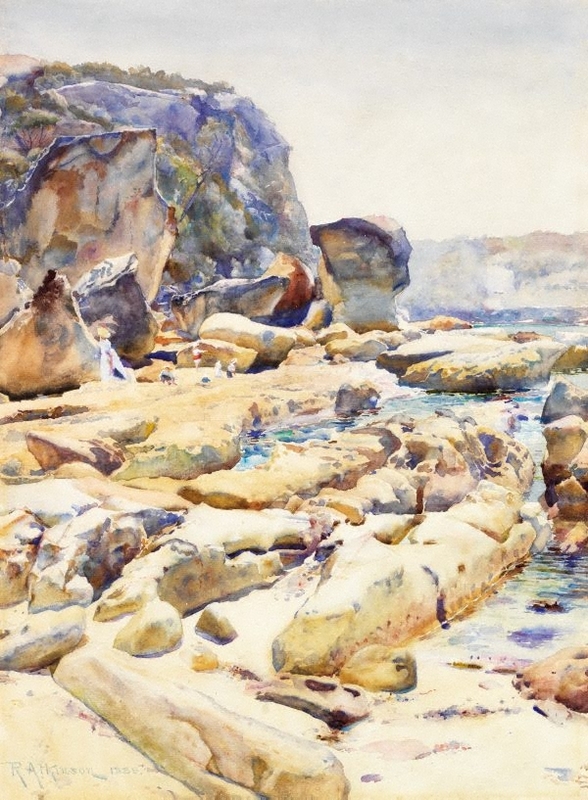 He spent about five years in Sydney, exhibiting with the Art Society of NSW, and was a resident of the artists' camp at Edwards Beach near Balmoral, the site of several of his best known works. 'The Bluff, Middle Harbour', painted from the headland north of the artists' camp, was bought by the Gallery in the year that it was painted, also the year Atkinson returned to England. Signed and dated l.r. corner, pale blue watercolour "R ATKINSON 1889".